3D VIEW with a Calibration Box model loaded. 3D VIEW allows the user to preview and make changes to a model or multiple models in a 3D environment. The Insert button opens the operating system file manager so a model file can be selected for addition to any existing models in the current view. 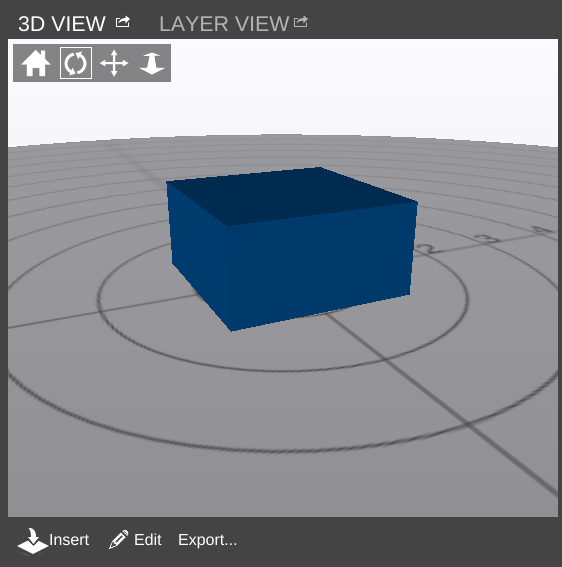 3D View automatically enters Edit mode once a file is loaded. The Edit button enters Edit mode, where the user can make minor alterations to the model. 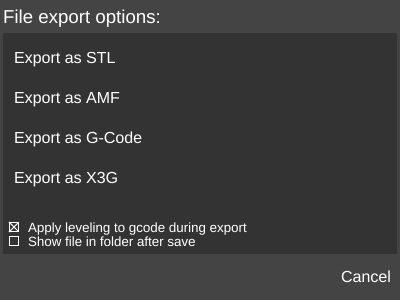 The Export... button opens the File export options dialog box which allows the user to export the model in one of several formats. This page was last modified on 30 November 2016, at 15:06.